Long standing readers will recall that I came to the goth scene a little late in my life and in the grand scheme of things. While the majority of my contemporaries were busying themselves with goth, popular music, dad rock and Britpop, I was busy listening to prog. I make no secret of it. When I came to the end of my long draught on the tankard of twiddly, I embarked on the aural adventure of a life time with guidance from Ginger Dreadlocked Chris and his Cassette of Fields of the Nephilim. Hungry for more goth, I downloaded Dead Can Dance and then began nibbling at the snack boxes of bands I’d heard of in passing. One such band was Bauhaus. Anyone who’s anyone has heard of Bauhaus’ seminal song Bela Lugosi’s Dead and the band’s association with the Goth culture. Well I hadn’t actually heard the song. I’d heard of it. So I plucked up the courage and snaffled this album for my CD collection. However, at the time, I was unaware that it was a “best of” until a few years later. It’s a good introduction to the band. 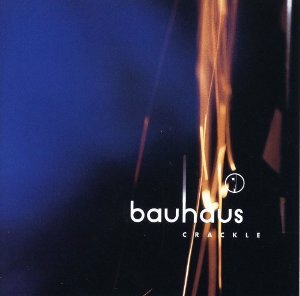 It shows that Bauhaus were not always “goth” and that their musical prowess fits my tastes like a tight fitting glove. Hints of prog, hints of medieval and notes of classical music. Even the weird echo guitar sound that I like that reminds me of late nights as a passenger in my dad’s car en route from my nan’s. I just wish I’d heard of them before my thirties.